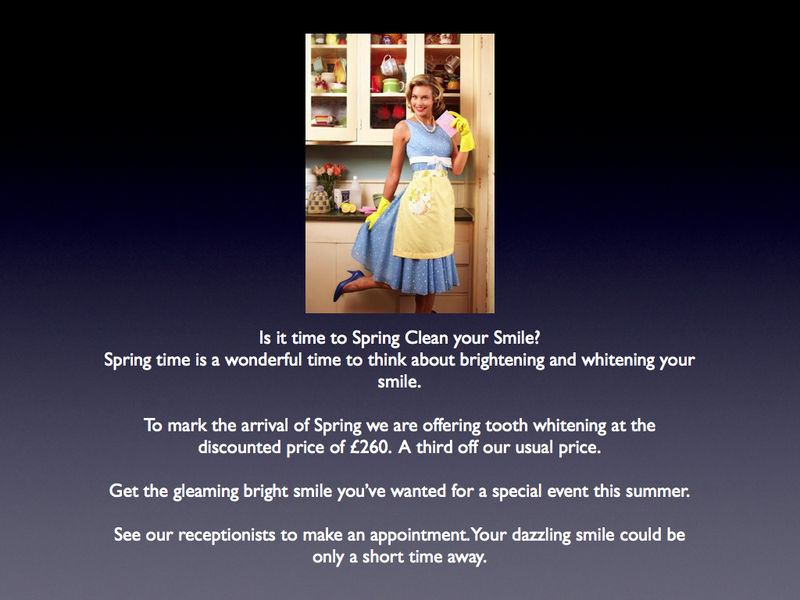 Yes folks, it's that time of year again to think about Spring Cleaning Your Smile! We are running this fabulous offer until the end of June 2012. Is a brighter whiter smile something that interests you? If so, contact our reception team on 01392 272408 and make an appointment. Our team at the Spicer Road Dental Practice looks forward to hearing from you. A fabulous smile could be yours in a matter of weeks! 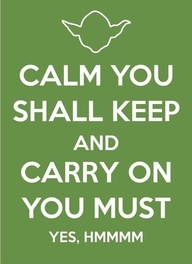 This year has seen the rise of the Keep Calm and Carry On poster. I think this version is possibly my favourite! Last Thursday, I was treated to an amazing day out at Lords with Denplan. 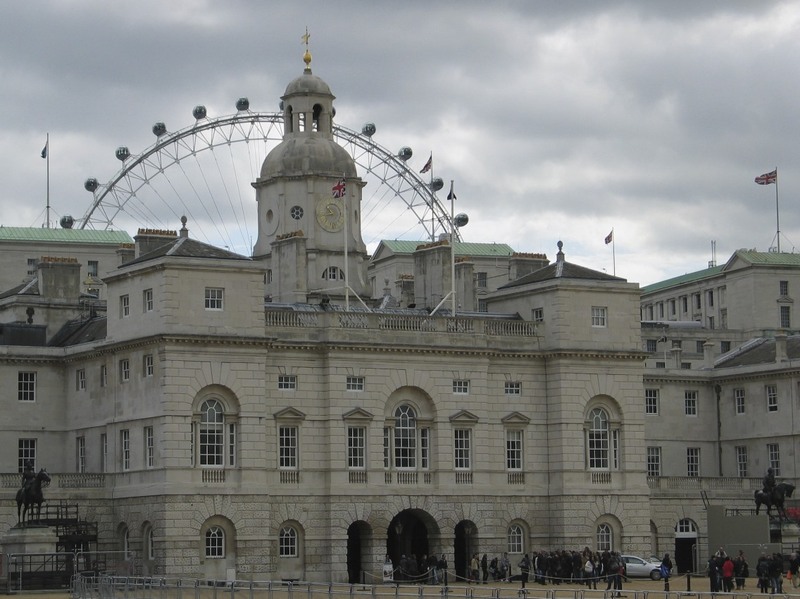 I was invited to London to meet with other Denplan dentists to enjoy an afternoon cricket net, a short tour of Lords and to have an evening meal out, all in the company of ex England cricketers Phil Tufnell and Dean Headley. I'd like to take this chance to thank Denplan and the Denplan Events Team for the invite, a great day was had by all. 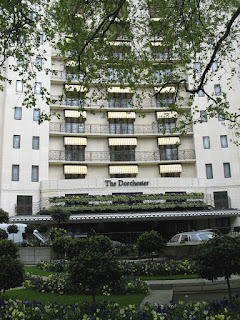 I travelled to London on Thursday morning, after a surprisingly easy train journey I managed to get to our hotel, with a bit of time to spare. 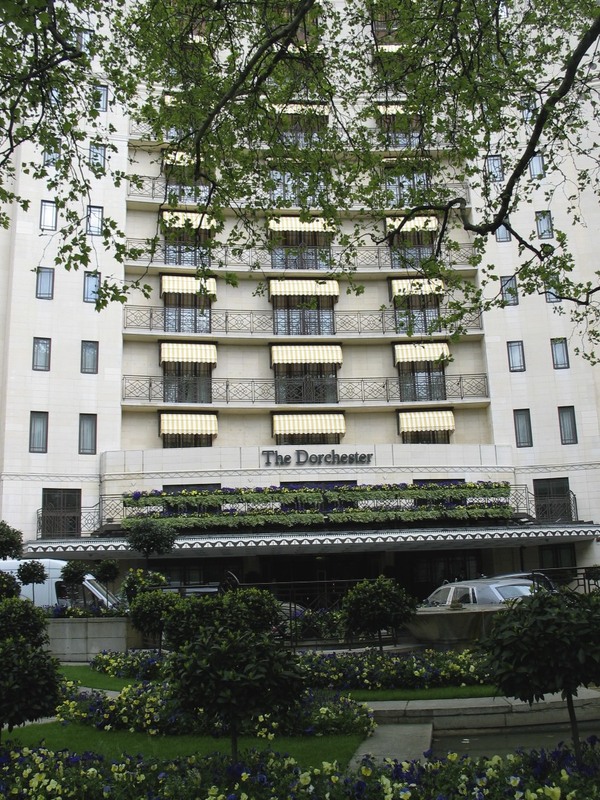 Our hotel was located across the road from Lords cricket ground in St John's Wood, this is a beautiful suburb of London, crammed with expensive apartments, and a local high streets brimming with dies, coffee shops and boutique shops. So I took the chance to have a little explore around the area. At 3pm, I met my colleagues and we took the short walk to Lords. We had a 90 minute net session with the cricket pros, brilliant fun, and I even managed to bat a little despite not having picked up a cricket bat in three years. We then had a tour of Lords, the home of cricket, visited the ashes museum and were entertained by stories from Phil Tufnell and Dean Headley. 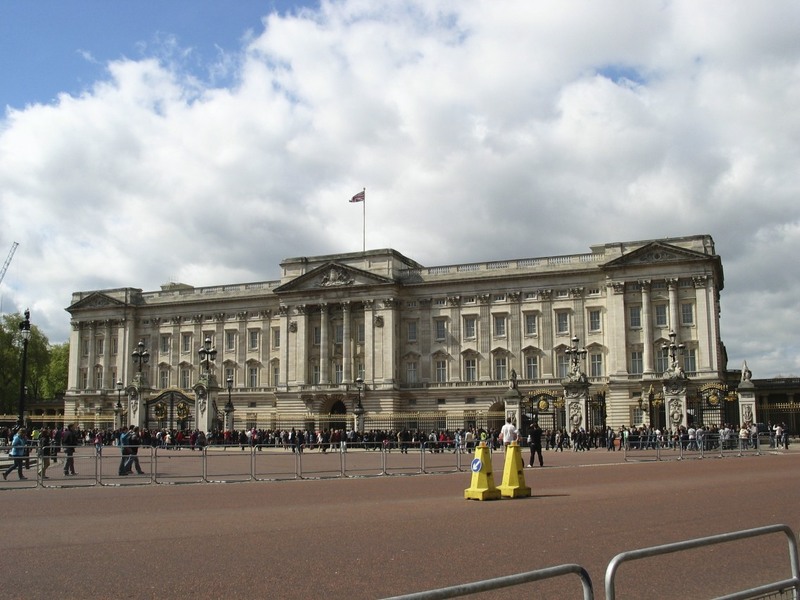 The biggest shame was not seeing the Long Room, but being allowed to see some of the more hidden areas of Lords was an unforgettable experience. By the way, just a bit of advance warning the wicket for first test against the West Indies looks a bit green! Our day finished with beers at the Lord's Tavern and then a trip to a local curry house. Fun was had by everyone. 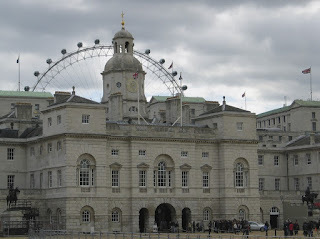 Next morning, I woke a bit bleary eyed, but after reviving myself with a full English breakfast, I took on the role of a tourist, here a few pictures from my walking tour. I think I managed a walk of several miles, my only wish was that I had packed some more comfortable shoes because I have several blister that are rather sore at the moment. Here's some pictures from my walk around the tourist sites. 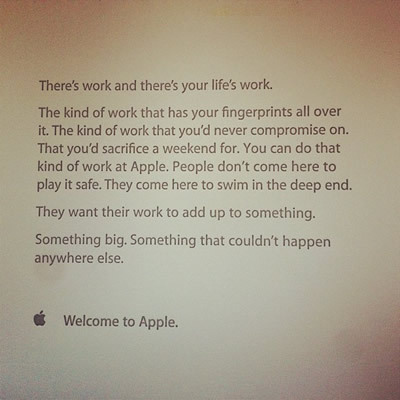 Apparently this card is given to anyone who starts working for Apple. 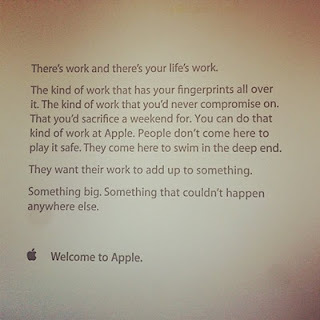 As a statement of values and intent I think its brilliant. Books recently read and an epic saga begins! One part of recent history that has fascinated me is the Space Race and the epic voyages of the Apollo astronauts to the moon. There are may great books that cover this area of American and Cold War history. 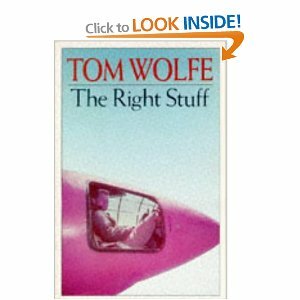 The Right Stuff by Tom Wolfe, this is the story of the pilots who flew the early test flights that led to the breaking of the sound barrier by Chuck Yaeger up to the final flight of the mercury programme. This is a brilliantly written and enjoyable history of the early ears of the space race, a time where great pilots had to show their skill, bravery and the possession of the Right Stuff during these amazing early test flights. Definitely worth reading. Next up is a book that cover the history of the Apollo programme. A Man on the Moon by Andrew Chaikin. This book chronicles the seventeen Apollo flights, it brings their stories to life through the voices of the astronauts, their wives and the staff in mission control who fought against the odds to keep them alive. Its an amazing read, and what is so extraordinary was that this amazing feat occurred forty years ago, and since the final flight of Apollo 17 we haven't been back to the moon again, and it is unlikely that we will get there again in the near future. 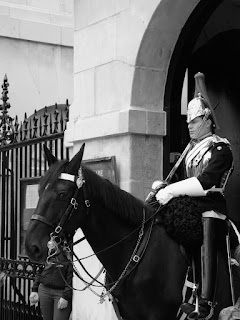 My next book is something completely different. On the recommendation of several friends I have decided to attempt some epic fantasy again. So the time has come to dip my foot into the epic Game of Thrones Saga. 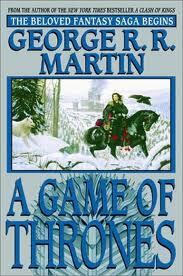 So today I'm going to start A Fame of Thrones by George R R Martin. Hopefully this will live up to the recommendations I've been given.